Before reading this capture, please check EasyEDA Document Format first. After route the PCB, you found out that you need to enlarge all tracks size a bit little, How? After route the PCB, you found out that all Vias’ hole size is too small, How to fix this? How to create a board outline using code? 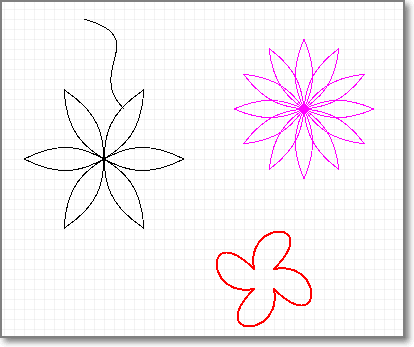 EasyEDA API will let you control your designs in an easy way. You can click Config Icon > Extensions Setting on the top toolbar image as below. You can enable or disable the default extensions, after enable, please reload the EasyEDA editor. We will give you a file about how to create an extensions soon. 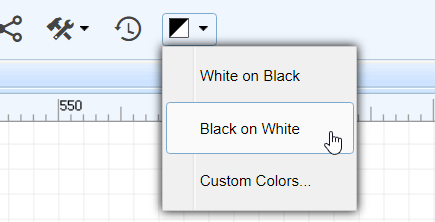 If you click the Black On White, you will find your schematic changes like bellow image, this is useful when you would like to print your design on a paper. You can check our github codes of this API via https://github.com/dillonHe/EasyEDA-Documents/tree/master/API/example/theme, check the manifest.json and main.js out, you will find out how to create an extension. Close EasyEDA editor and open it again. If you just need some simple functions, you don’t need to create an extension. 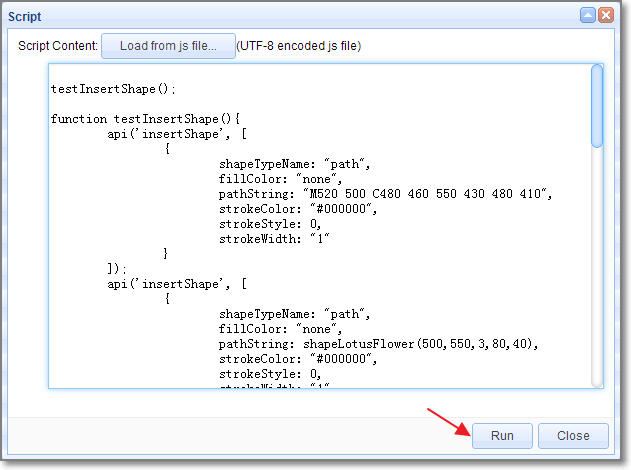 You just need to create a single Javascipt file and keep it in this list. 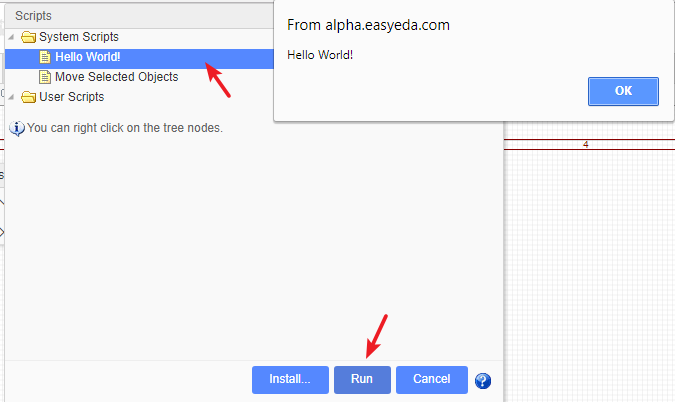 You can select the Hello World, then click the Run button, the response as below image. You can select some items, then try Move Selected Objects. You can install your own scripts, then they will show on User Scripts. In some case, you just need to run the function one time, such as create a user define board outline in codes, changing the Track width, change the hole size etc. You can use this way. //try to pen a pcb, then run bellow codes.